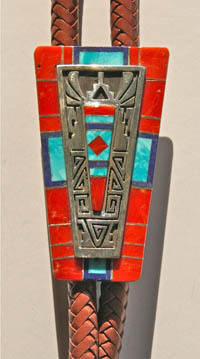 Abraham Begay , Navajo, is considered one of the leading silver jewelry makers of his time. 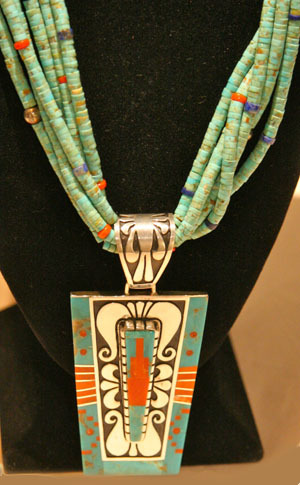 He has won many awards for his outstanding jewelry work at shows across the United States. 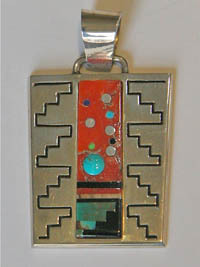 Materials: silver, red coral, turquoise. Five strands of handmade beads.